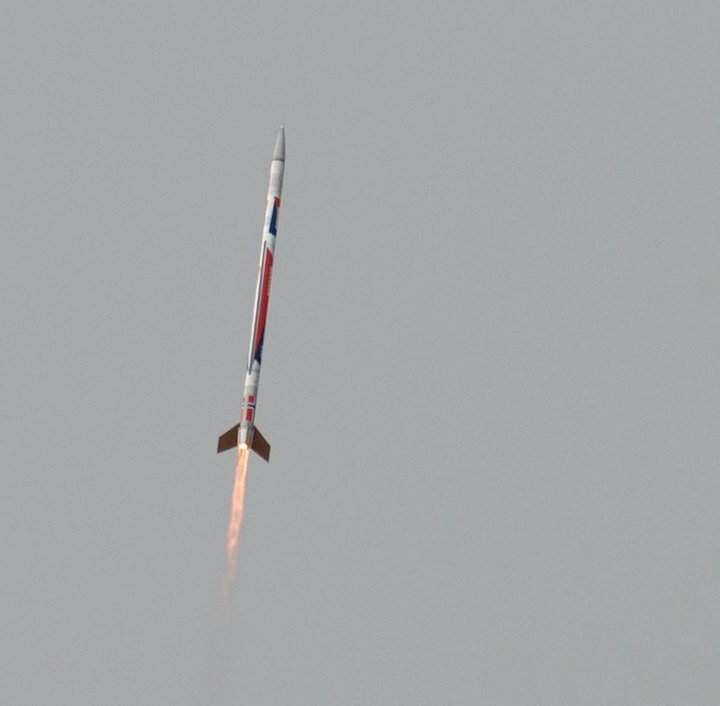 Raumfahrt+Astronomie-Blog von CENAP - Blog: Raumfahrt - On Thursday 27 September Nammo successfully completed the first launch of Nucleus, a sounding rocket powered by its new hybrid rocket motor. 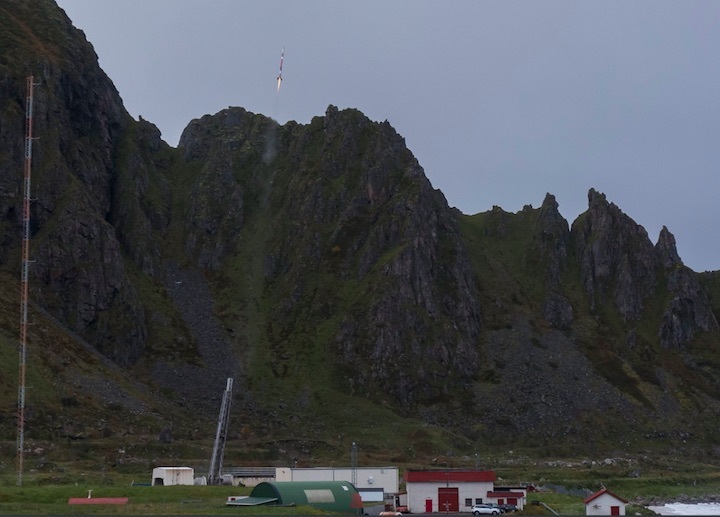 Nucleus launched at 14:16, local time, from Andøya Space Center in Northern Norway, and reached an altitude of 107.4 km. That made it not only the first rocket powered by a Norwegian motor design to cross the Karman line, the commonly recognized border to space, but also the first European hybrid rocket motor to do so in more than 50 years. “This is a tremendous achievement, and we are really proud of the entire space team. We have invested a lot of time and effort in this project, and it was such a great experience to finally watch it take off earlier today” said Morten Brandtzæg, president & CEO of the Nammo Group. The launch was also welcomed by the Norwegian government. “The Nucleus launch is a manifestation of the know-how and technological prowess of Norwegian industry. I congratulate Nammo and Andøya Space Center on bringing Norwegian space technology a huge step forward,” said Minister for Trade and Industry, Mr. Torbjørn Røe Isaksen. 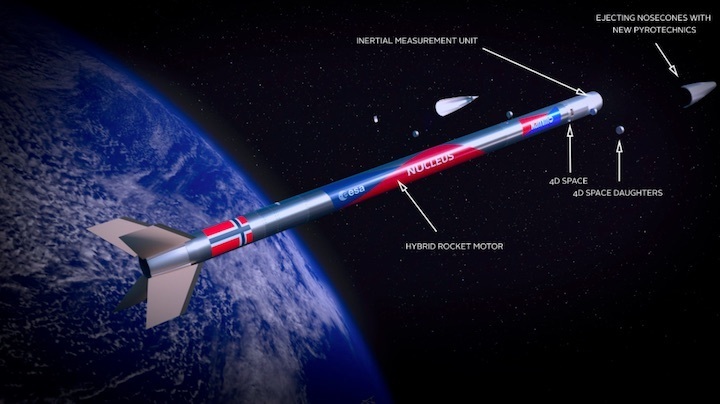 The Hybrid Rocket Motor powering Nucleus has been developed by Nammo at Raufoss in Norway, and could potentially power a whole new generation of smaller European launch vehicles. “Even though hybrid rockets have been around since the thirties, a number of technical challenges have remained. We are proud that we have been able to solve these, and get the concept to work for the first time”, said Adrien Boiron, lead engineer on the Nucleus project. 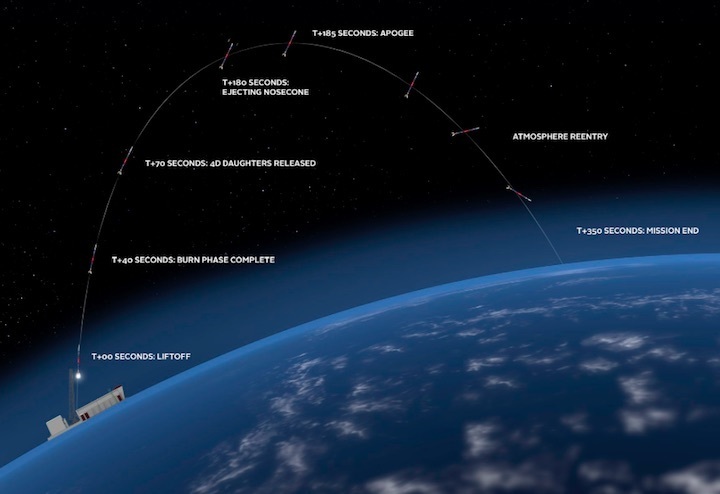 Nucleus is a sounding rocket, designed to lift scientific instruments into the upper layers of the atmosphere. The hybrid rocket motor propelling it, however, can be scaled up lift a wide range of payload, including small satellites into low earth orbit. “For this specific flight, Nucleus carried 3 technical experiments aloft. The most important one being the ASC/UiO 4D-SPACE module loaded with its 6 daughter payloads. During flight, the daughters were released 2 at the time when the rocket passes 60 km altitude. They measured small-scale plasma structures and transmitted data back to the main 4D-Space module. 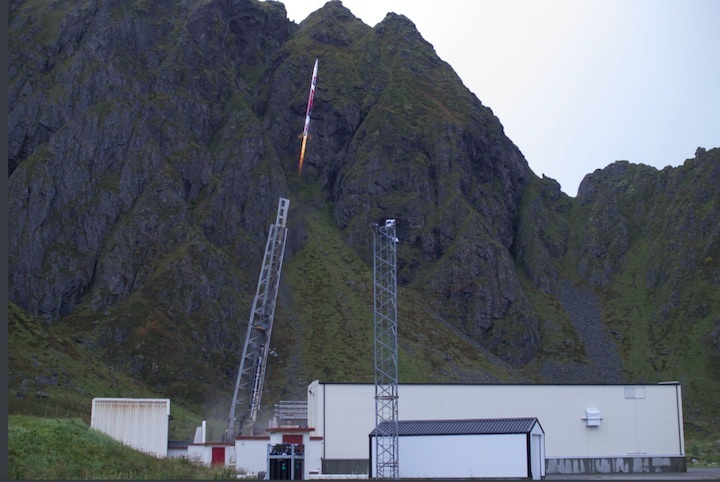 In addition we also tested a newly ASC developed pyrotechnical system and an inertial unit (IMU) from Sensor AS”, said Kolbjørn Blix, Director of Space Systems at Andøya Space Center. Nammo is hoping that the new propulsion technology demonstrated with Nucleus will be able to power future launch vehicles for small satellites. “Over the next few years there are plans to launch thousands of small satellites. The benefit of our new hybrid rocket motor is they can lift them into orbit with the accuracy of a liquid fueled engine, but without the associated risks and costs, making it ideal for smaller European launch sites,” said Onno Verberne, Nammo’s VP of Business Development for space. Today, only a select few nations – Russia, India, China, USA, France and Japan – have the capacity to build launch vehicles for satellites and send them into space from home bases. If the technology demonstrated in the Nucleus is successful, Norway has the potential to join them. The Nucleus rocket was 9 meters long and had a total weight of around 800kg. The motor gave a thrust of 30KN (3 tons). The planned future version of the engine would give 75-100 KN of thrust.